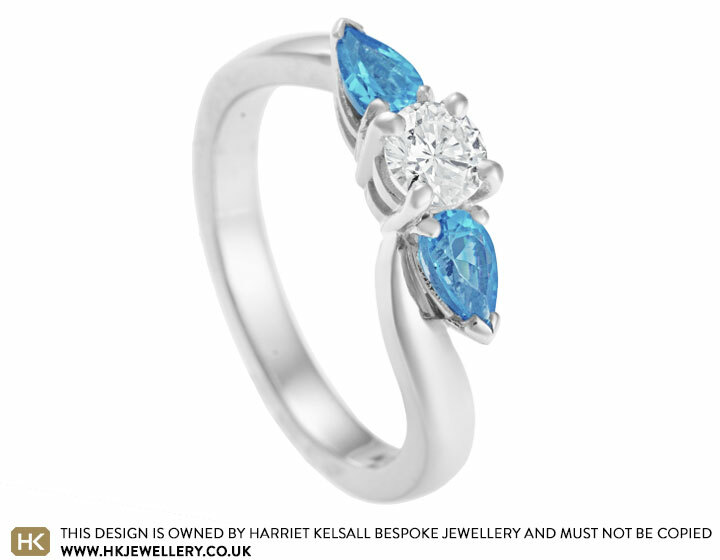 David wanted to commission a unique trilogy ring for Holly which showcased her love for bright colours. 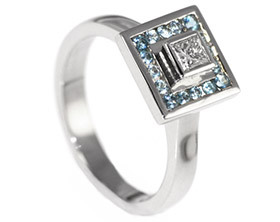 At the centre of the design is a brilliant cut 0.30ct GSi1 diamond which was selected for its crisp white colour. 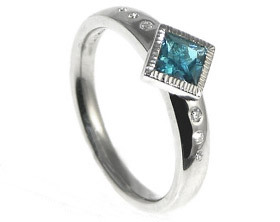 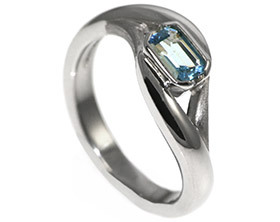 On either side of the classic central stone is a 5x3mm pear cut Swiss blue topaz which David chose for their vibrant and fresh colour. 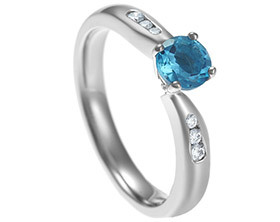 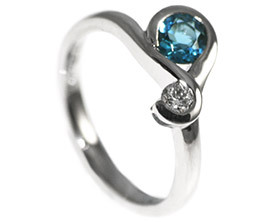 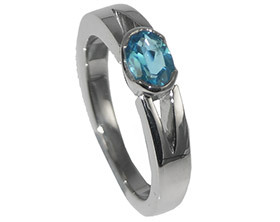 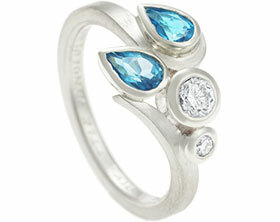 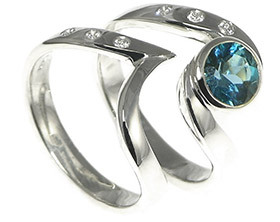 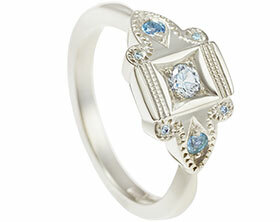 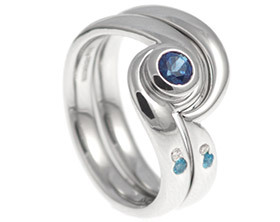 The palladium band twists around the pear cut topaz to create an elegant and organic shape. 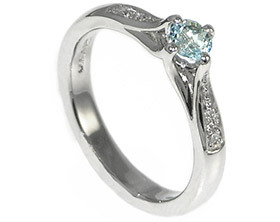 A polished finish completes this contemporary yet classic design.